“Mozart” model display case is an elegant refrigerated ventilated display counter for pralines and chocolate. 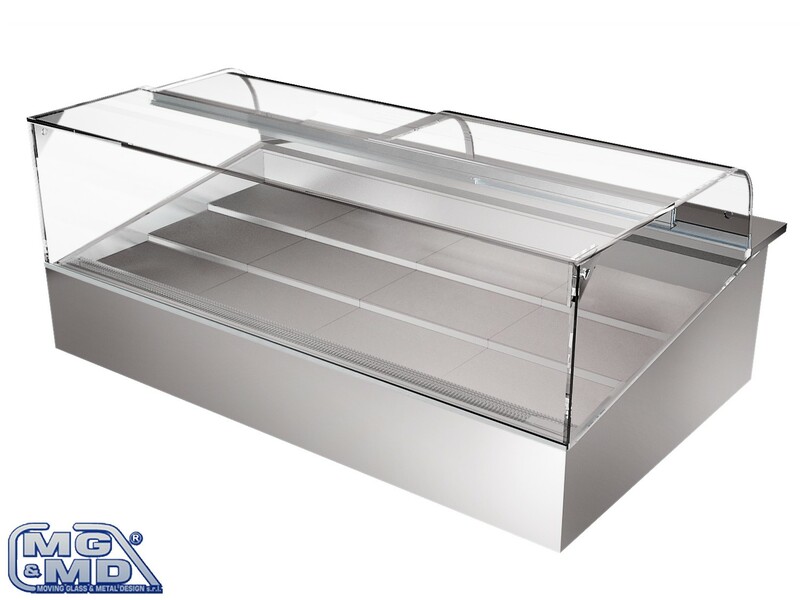 The main feature of this counter is the control, both the internal temperature and the humidity in the tank, in such a way as to preserve in the best possible way the products displayed. The structure is in tempered glass glued with rear closures composed by curved sliding security glasses. Aluminium profiles are in silver anodisetion as standard (gold on request). The exposure on the tank is by inox stepped trays, with back mirror to give more depth to the counter. With control panel with electronic control unit fixed under the tank.